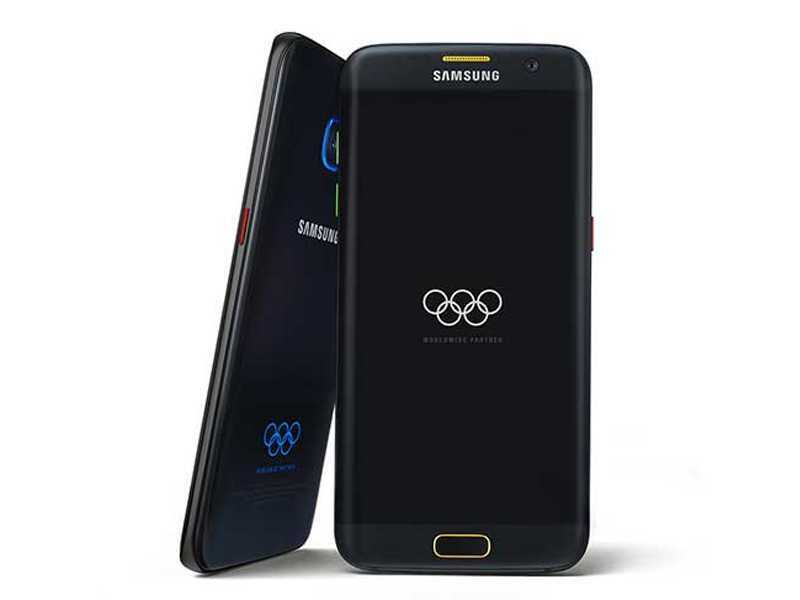 Samsung has fulfilled its promise of gifting 12,500 S7 Edge mobile phones to the Olympians of Rio 2016, with the Olympic Games, limited version phones. The special edition mobile phones will be distributed to the athletes who are participating in the Rio Games. The company will give each of the participants one S7 Edge, limited edition phone in order to help them bolster the tournament experience. The Olympians can keep in touch with friends and family members using a technological advancement. The Rio Olympics has kick started and the new S7 Edge, Limited version, proved to be one of the stars of the event that was held in Sao Paulo in Brazil. The company has also rolled out its Rio 2016 application for celebrating the official launch of the Olympic Games this year. Mobile phone enthusiasts will have noticed that the S7 Edge Limited Version is the first phone to come with the design of the Olympic Games embossed on it. The five colors that officially belong to the Rings also form part of the customized color pattern on the phone. Users will also notice the Olympic Rings colors in the user interface of the phone. The colors associated with the Olympic Rings will be seen in the home screen, the lock screen, the notification bar and also the dial, the contact screen and the message screen. The wallpapers available on the device are also based on the Olympic theme and they reflect the competitive spirit and the enthusiasm, which is the spirit of the Games. Samsung has also brought in an additional accessory with this phone. The Gear IconX offers wireless headphones that will offer an improved fitness experience to sportspersons. The accessory has its own music player and a heart rate tracker within the ear. Users can pair the Gear IconX with the mobile phone to bear evidence of their fitness using the S Health application. Younghee Lee, who is the Executive VP of Global Marketing for the company, notes that the company is full of admiration for the Olympians and the fans of the Games, as they push the limits. He added that the sports were assisting the players in challenging themselves further and moving away from complacency. Thomas Bach, the IOC President mentioned that the company was able to inspire the values embedded in the Olympics to the fans and was doing a great job by supporting the Games and sport power. He also mentioned the gratefulness of IOC towards Samsung for gifting the S7 Edge to the participants and commended the generosity of the company. However, this is not the only time that Samsung has offered such devices to athletes in the Olympics. The company has started on this path in the year 1998. Even those who are not taking part in the competition can get the customized device.